That old theme color scheme was not doing it for me. Thus, “Major Delay” is now 0.5. Less blue, more grey. What do you think? I secretly always hated the old blue color-scheme. 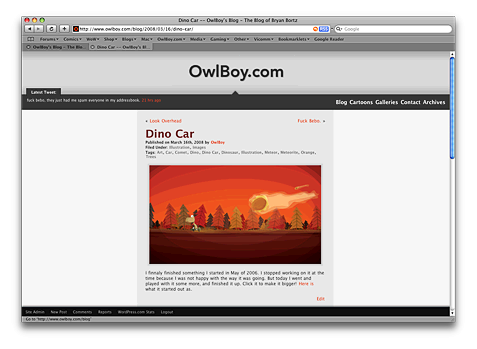 This entry was posted in Blogging, Images, Internet and tagged Blog, Color, Design, Grey, Stylesheet, Theme, Web Design, Wordpress on March 17, 2008 by Bryan Bortz.